I surprised myself when I saw that last photo. The paper is a bit darker, but accessories can get me every time. 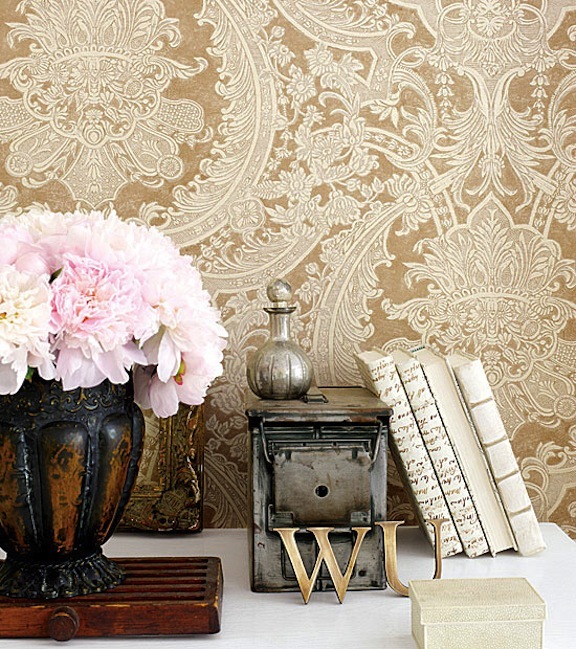 What are your thoughts on patterned wallpaper? Love it or leave it? I say leave it. I, too, grew up with the 80's fad of wallpaper everywhere. I much prefer to leave the pattern to pillows, rugs, etc. Wallpaper is a major pain to remove. That's a good question.... I think it depends on the wallpaper but it can warm up a room. 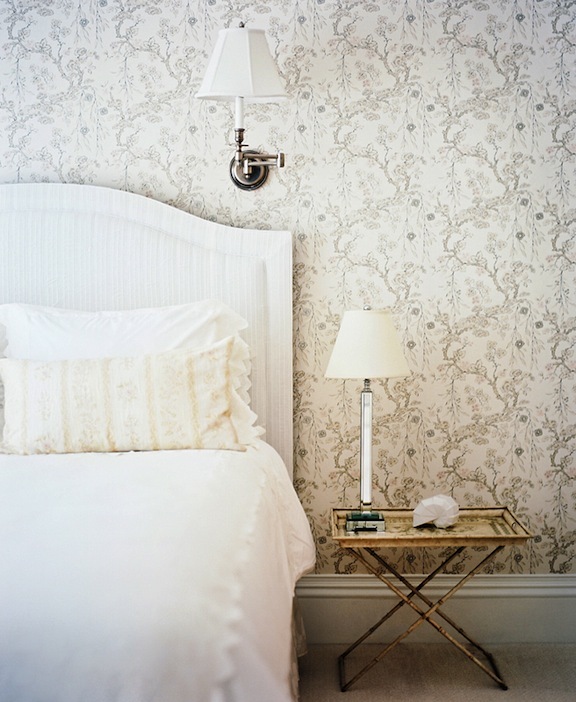 Love, love, love a patterned wallpaper, especially in an unexpected places like ceilings!!! I would love to jump on the wallpaper bandwagon some time soon! 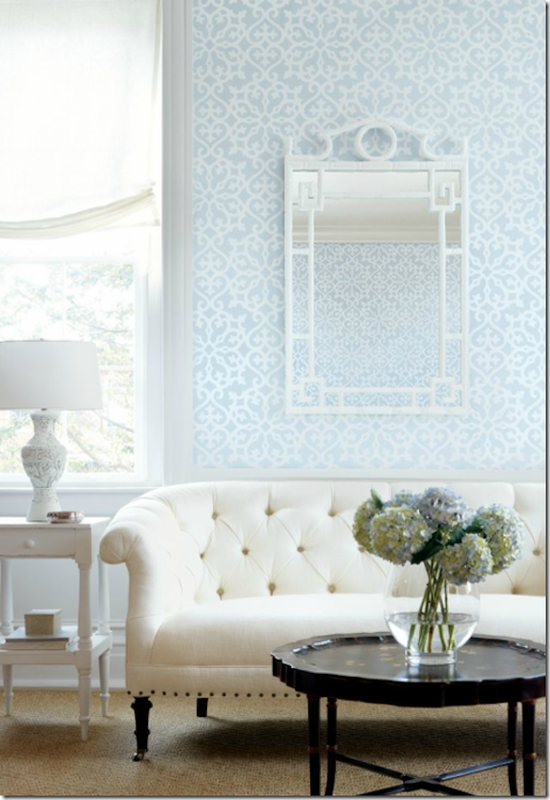 As long as those cheesy wallpaper borders don't come back into style I'm a happy girl. I'm liking the patterned wallpaper but I don't think I would do a whole room in it...except maybe an itty bitty powder room. Oh what I would give for a pattern wall. Gorg. Happy Friday beautiful.